Insulation Service That Woodburn Residents Can Rely On. 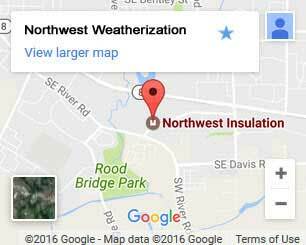 If you’re looking for insulation or weatherization options in Marion County, there’s no better choice than Northwest Weatherization. Our five-star customer satisfaction proves that we deliver on our promises to provide low-cost, high-quality service. Contact us to schedule your free home energy audit. Our insulation services help keep your home comfortable and energy efficient! 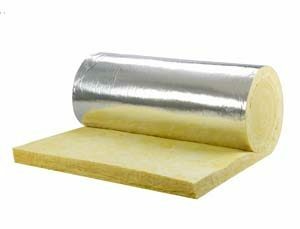 It’s Time to Update Your Home’s Insulation! 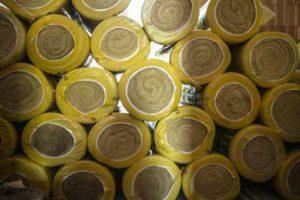 Homes that are at least twenty-years-old are due for insulation upgrades. Over time, materials break down and leaks develop, leading to decreased efficiency and ultimately higher heating and cooling costs. Many homes in the Northwest are also at risk for high radon levels. Radon is naturally occurring in soil yet undetectable by humans and is a concern due to it being the second leading cause of lung cancer. Northwest Weatherization proudly offers vapor barrier services. The process involves sheets of plastic taped together to prevent harmful gasses and moisture from accessing the crawlspace and eventually your home. Properly insulating your home or office creates a more comfortable, predictable environment by promoting effective resistance to heat flow. Heat can travel through poorly insulated walls and floors (conductive heat). Exposed rafters or sheet rock in an attic can mean insufficient insulation. Updated exterior wall insulation can reduce a homeowner’s overall carbon footprint. New door and window seals reduce heating and cooling bills. Contact Us for Insulation Services in Woodburn Today! We offer a free in-home assessment of energy efficiency so the right areas receive attention. Our technicians will suggest the best types of insulation and help draw up a plan customized for your house and your budget.